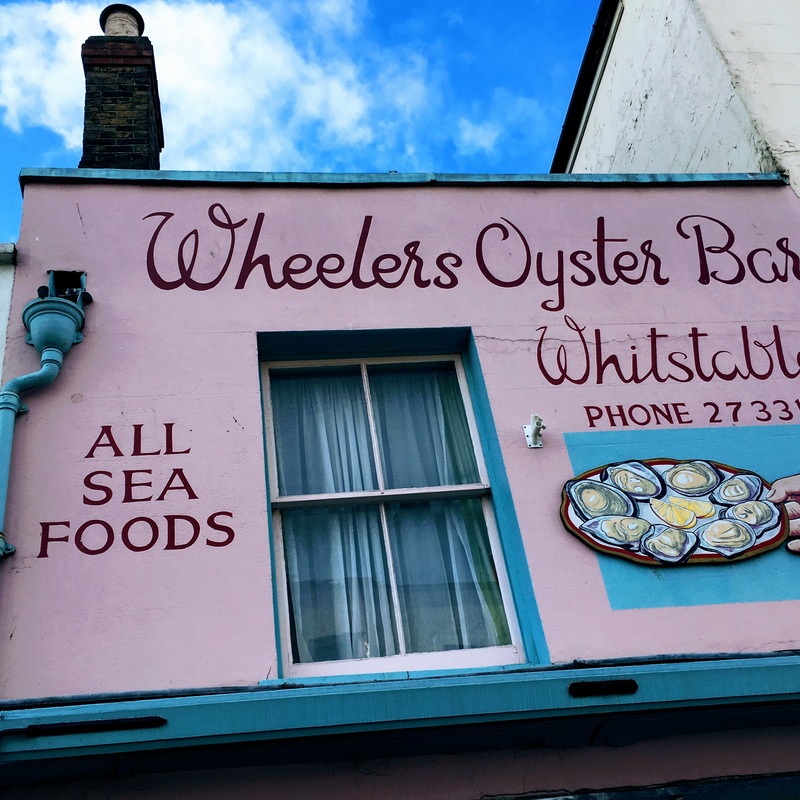 I love discovering places far afield (our recent trip took us to Malaysia, Cambodia and Vietnam) but I also have a serious thing for seeking out gems in the UK, and Whitstable has to be one of my new absolute favourite towns. 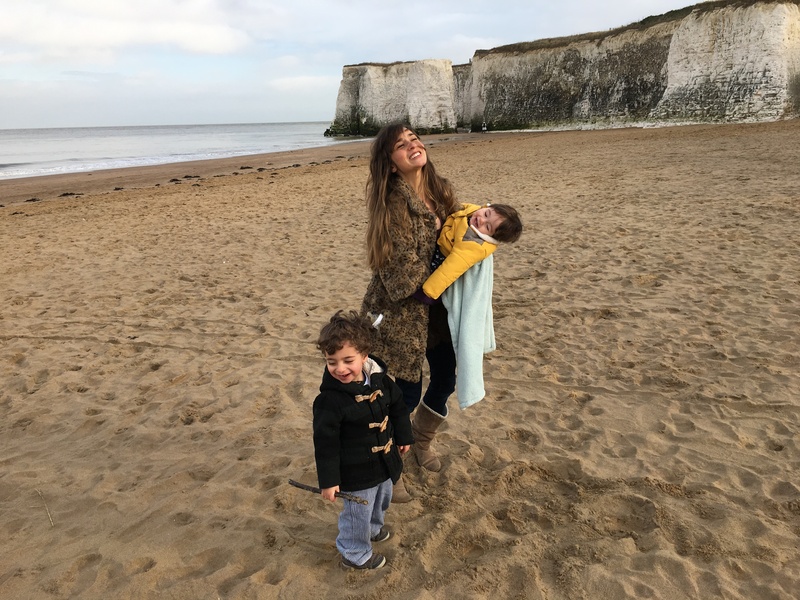 No more than about a two hour drive (or around 60 miles) from London, Whitstable is an absolutely gorgeous seaside town packed with restaurants, plenty of art and culture and of course, a plethora of beautiful beaches. Apart from its decidedly sweet name – Salt Marsh Cottage – the first thing I loved about our cottage for the weekend was its location: a stone’s throw away from the beach and slap bank in the middle of town, it could not have been any better.To this end, as soon as we arrived, there was no option but to dump our bags, throw on some woolly hats and scarves and head straight to the beach to catch one of the most beautiful beach sunsets I’d possibly ever seen. From the word go, Whitstable wowed me and I already knew we’d be returning. In terms of evening beach spots, you can’t do any better than the Old Neptune to watch the world go by and frolick in the pebbles whilst enjoying a cheeky little tipple. Once back at the house we started exploring inside; aside from its positioning, the cottage itself was absolutely beautiful. 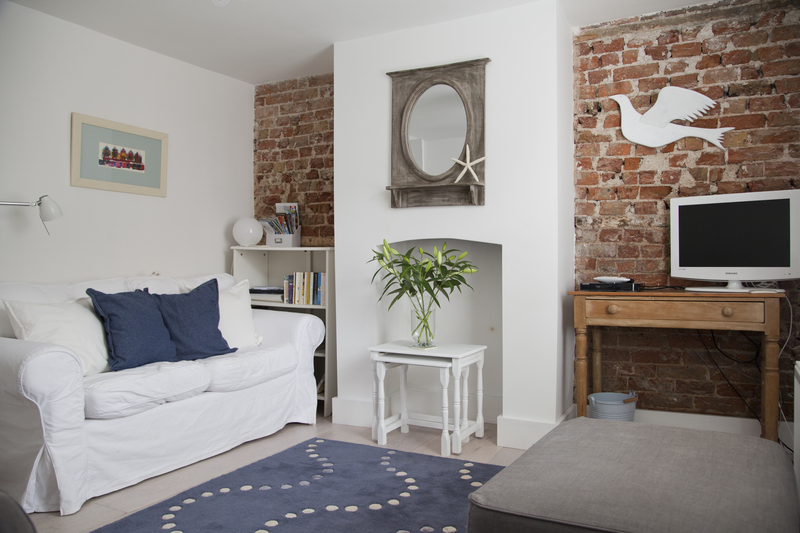 It’s grade 2 listed so had some amazing features from original wooden floorboards to fire places but it had also recently been renovated so felt super clean with a load of handy amenities such as a microwave and DVD player. We made full use of the space – Jack slept in the room at the top of the house which with its low double bed was perfect and Sonny was in the single bedroom next door to us (although unfortunately he was a little poorly during the night and slept AWFULLY which was a shame given how comfortable his room was). Indeed, it’s the perfect size for a family with two or more children. The owner also provided us with a travel cot and a high chair and a stairgate was available on request too (the stairs are quite steep so you might want to keep little ones safely enclosed). 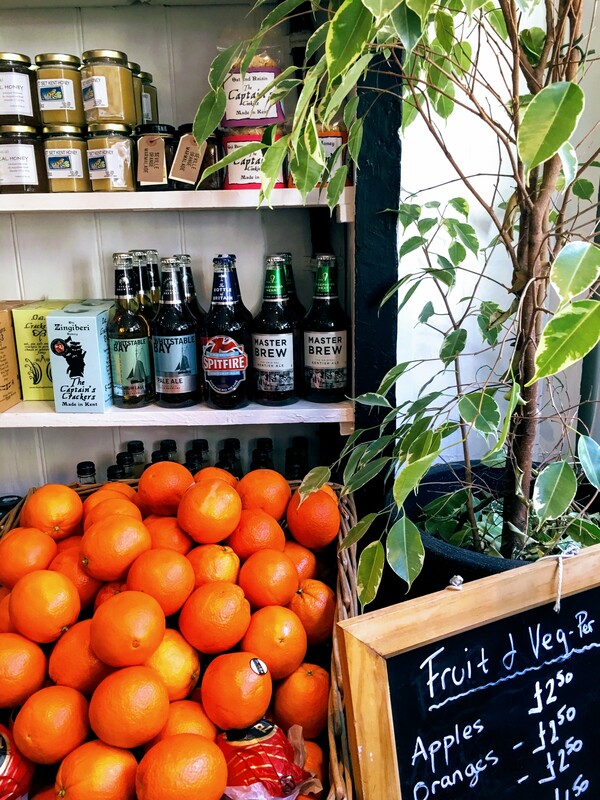 We spent the next day wandering around Whitstable which is brimming with lovely coffee shops and restaurants, as well as decent supermarkets and pharmacies. And fish and chip shops – so many epic fish and chips shops. It basically has everything you need. Highlights for us were the cafe Tea and Times where they have a big rail of magazines, delicious home made cakes and super friendly staff. This is a must for anyone who enjoys a good read with their cuppa (I’m looking at you people without minis) plus they have children’s magazines too so we were able to entertain Jack with a new Paw Patrol magazine for at least 8 minutes whilst we enjoyed some apple cake.Whitstable Produce store is a great place to pick up some delicious provisions (they also do super yummy sausage rolls and coffee!) if you’re cooking at home and Samphire is an all round absolute winner for food and ambience. There was just about time to scoot to the Turner gallery which actually had some family fun on as well as a free exhibition before we dashed home to make it back before the hugest storm hit. That evening we stayed firmly indoors, put the kids to bed, got some take away Fish n chips in and watched a movie. Perfection. 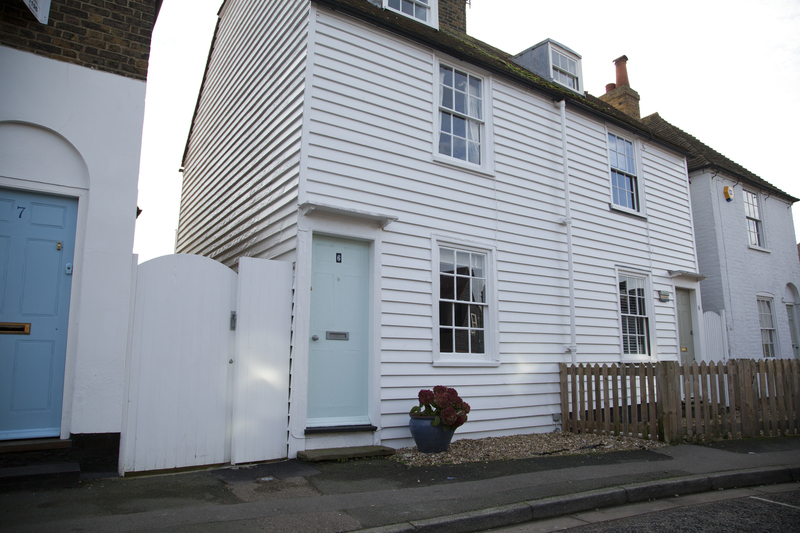 Our stay at Salt Marsh Cottage was brief but wonderful and I know we’ll be back. I’d love to return in the Summer and spend more time exploring the town and the coastline. 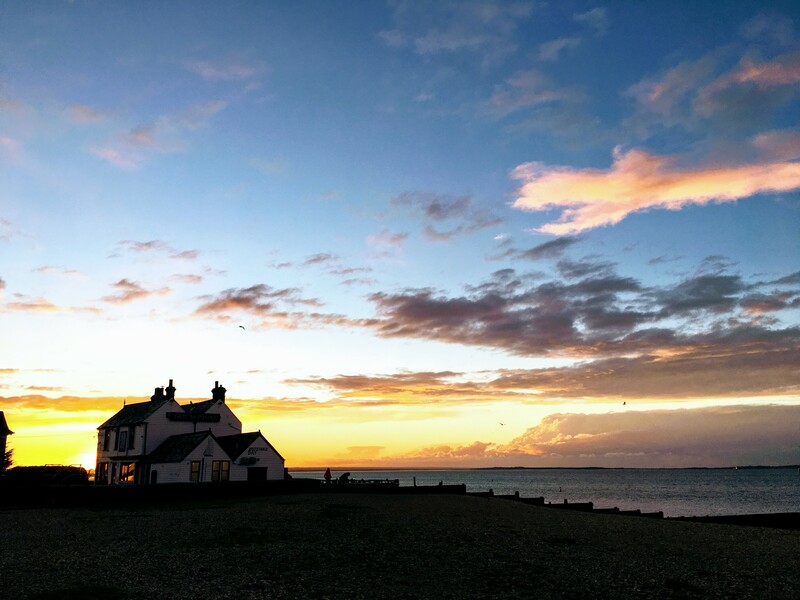 In terms of other things to do whilst in Whitstable, the website Things to do in Whitstable has you covered. 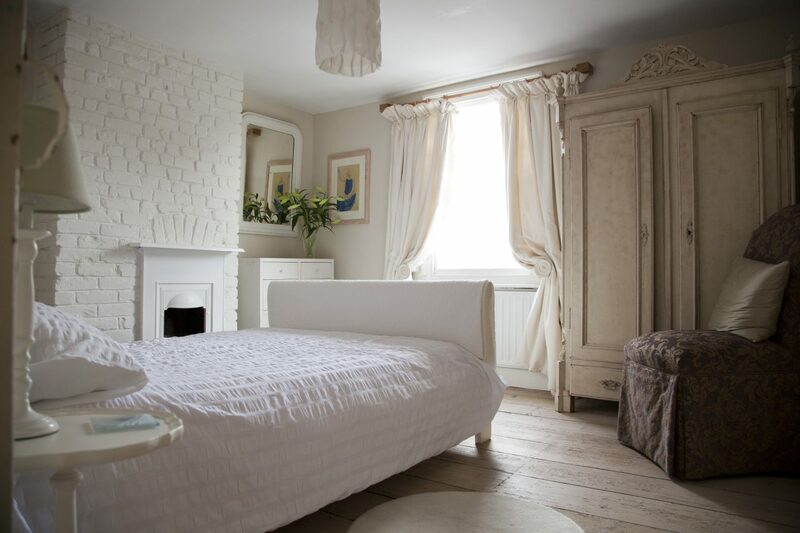 A big thanks to Places to stay in Whitstable who put us up for the weekend and if you want to check out their selection of Whitstable holiday cottages or book the actual cottage we stayed in (which honestly I cannot recommend highly enough) you can find it here. Finally you can watch a little vlog of our time here. Thanks for reading as ever. Have you been to Kent? Or have you got any other UK gems you can share with me? I always love getting recommendations of where to next visit…. It’s so funny to hear Margate described as hipster…..I grew up in Herne Bay (next to Whitstable) and Margate was (and still is!) the total dive we used to hang out at when we were younger, for the sandy beaches and to hook up with boys at Dreamland! 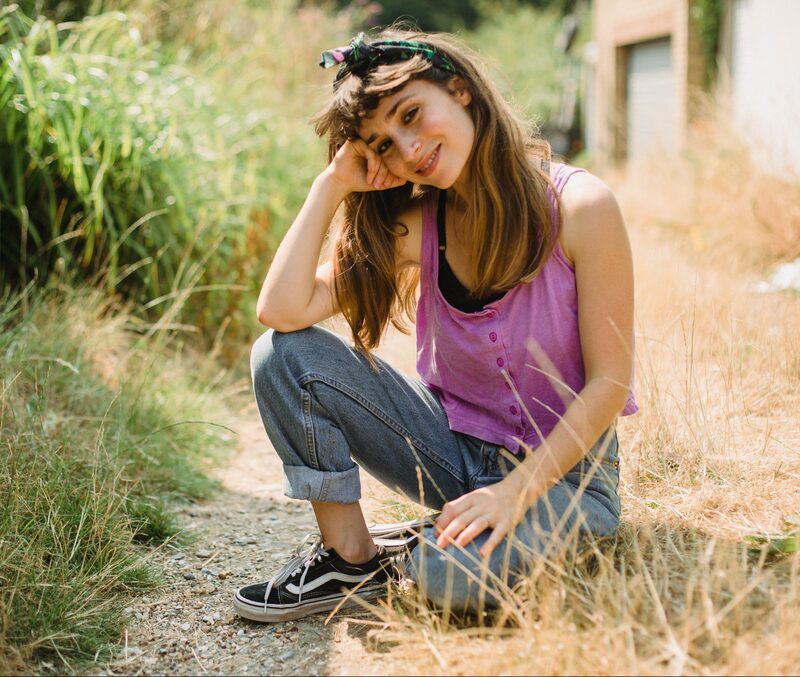 Could You Buy No New Clothes for A Year?